Connie Britton attends the "The Mustang" Sundance Premiere on January 31, 2019 in Park City, Utah. Connie Britton teamed her cardigan with black leather pants and lace-up boots. 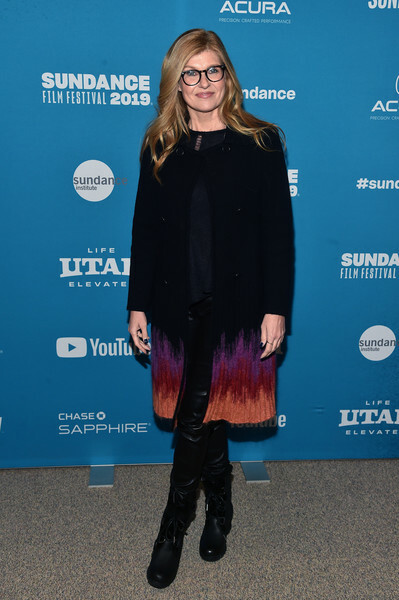 Connie Britton attended the Sundance premiere of 'The Mustang' wearing a black coat with a colorful hem.